Location: 1075 Turnberry Court in Midway Utah. It is across the street from the 5th fairway of the Homestead Golf Course on Lime Canyon road. It is very close to the Zermatt Resort, Homestead Resort, and Swiss Oaks. 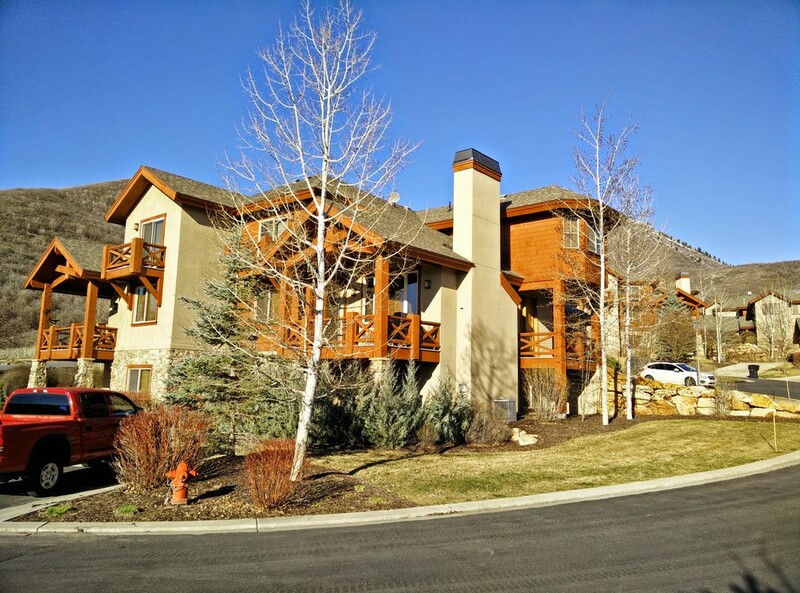 4 bedroom 3 1/2 bath unit, Garage, Hot Tub, Balcony. Main level: Living room with leather sofas, fireplace, entertainment center, Dining room, Full kitchen with everything, washer and dryer, half bathroom, 2 car garage, Large deck with tables and chairs and gas barbeque. Top Level: Master bedroom has a King sized 4 poster bed with entertainment center. Master bathroom has a large jetted tub and separate shower. It has a large walk-in closet. The other bedroom has a Queen sized bed with a nice bathroom. Lower Level: It has a Family room with fireplace, entertainment center and large sofas for additional sleeping. 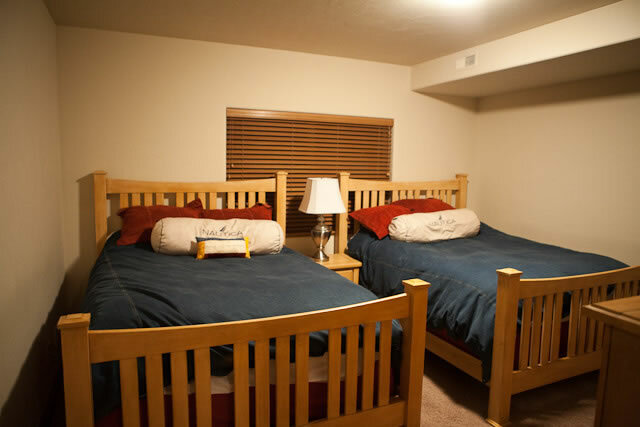 The Large bedroom has 2 Queen size beds, the smaller bedroom has one Queen sized bed. The lower level has a nice bathroom. On the outside deck there is a large private hot tub for 8 people. Non Smoking Unit, No Pets. Note: a $200 cleaning fee and 12.6% nightly room and sales tax is added to each rental.